Sick of the same old bars? Have an event or birthday coming up and want it themed for you? 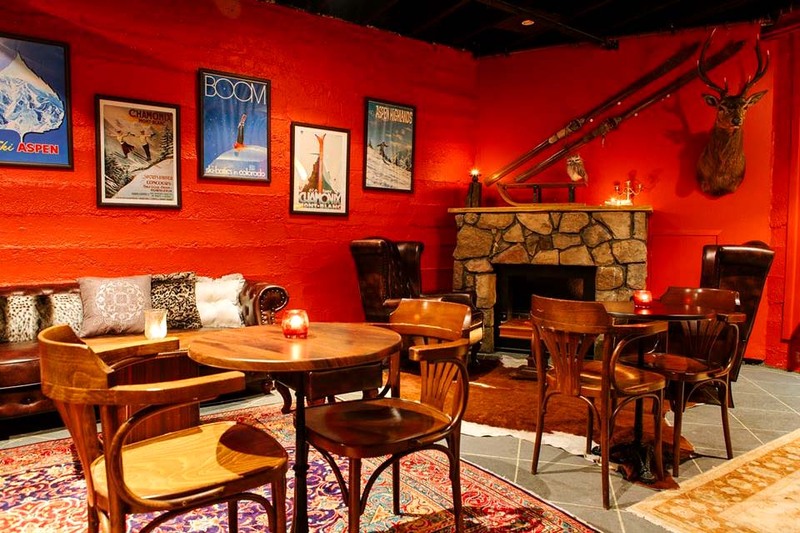 Check out some of these Brisbane bars offering a quirky setting for your next get-together or night out! This Graffiti-themed bar oozes character with its unique juxtaposition of quirkiness and sophistication. Built on a heritage-listed former service station and situated next door to a 99 Bikes shop, The Battery Station might just be the colourful bar you didn’t even know you were looking for. 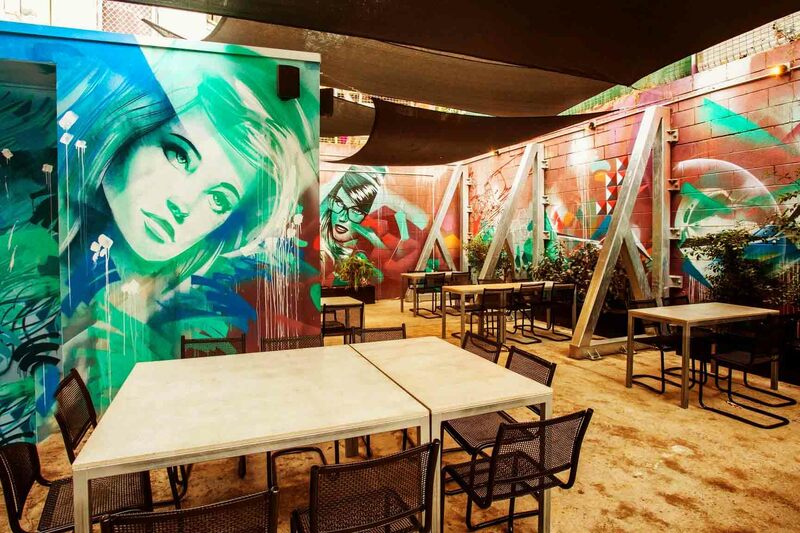 Complete with sleek steel designs, striking wall murals and an outdoor courtyard perfect for after-work drinks, The Battery Station will have both creative juices and conversation flowing. 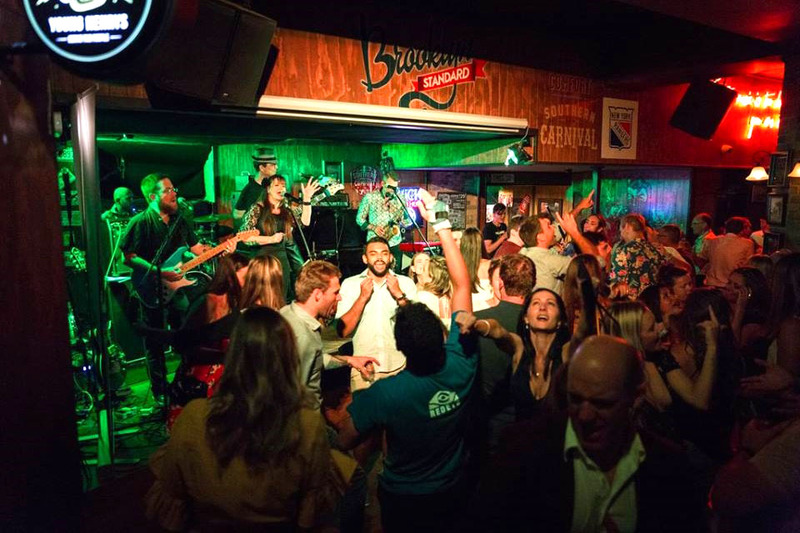 Hidden bars, Pan-Asian street food, live music, pool tables and an air of mystery distinguish Brisbane’s Heya Bar as an underground gem with a buzzing nightlife. Inspired by the street markets of South East Asia, your senses will be immersed in the simulation of the Golden Gai in Shinjuku; alive with mysterious doorways, secret rooms and late night eats and drinks. Settle down in one of the cosy lounges to feast on the flavoursome street foods or enjoy the crafted cocktails and spirits with friends, getting lost in an otherworldly experience. 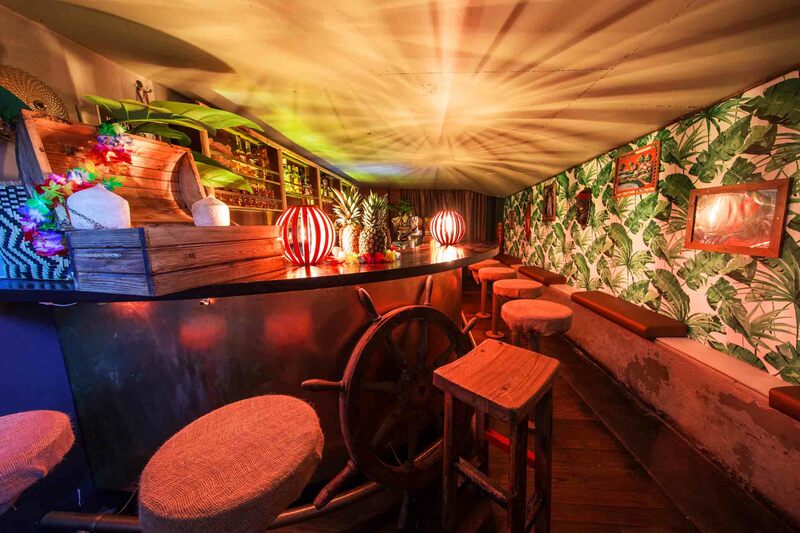 This tiki-themed bar promises a taste of a Hawaiian Island night at Brisbane’s West End. Bamboo railings and straw hanging lights set the mood to enjoy a Pina Colada from the pineapple, sip on a rum cocktail, or try the house lager Red Stripe, hailing from Jamaica. 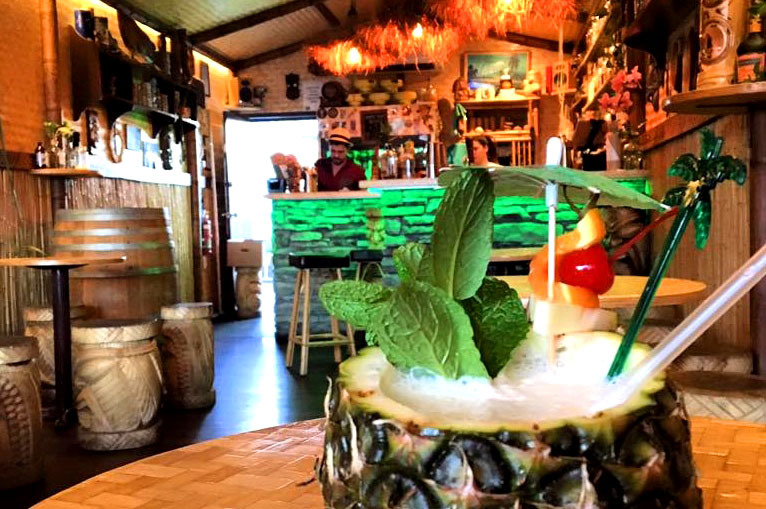 Surrounded by exotic drums, tribal printed barrels and served by the staff dressed in their best tropical get-up, the Jungle Bar will leave you with a pink umbrella in your drink and a taste of the Pacific south seas on your taste buds. A door-sized hole marks the entrance to the Brooklyn Standard, hidden down a CBD laneway in the cellar of an 18-storey building. Descending into this underground live music venue and bar takes you to the centre of one of New York’s most iconic neighbourhoods, in true Brooklyn style. 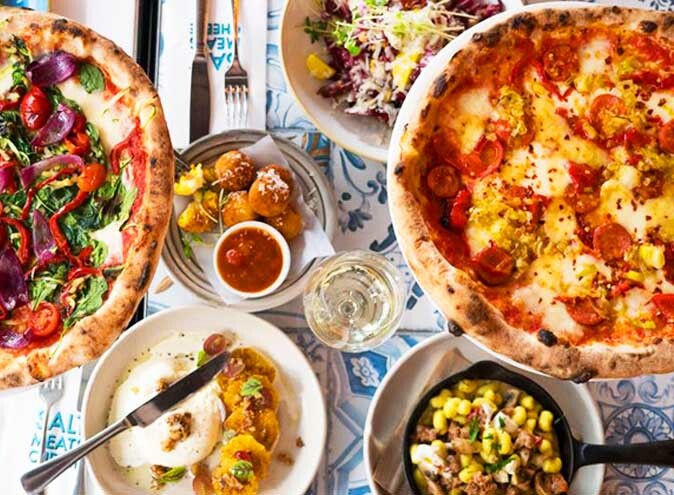 Serving up Brooklyn Lager, root beer from Chicago and free bowls of salted pretzels, you won’t want to leave these bustling cellar walls. 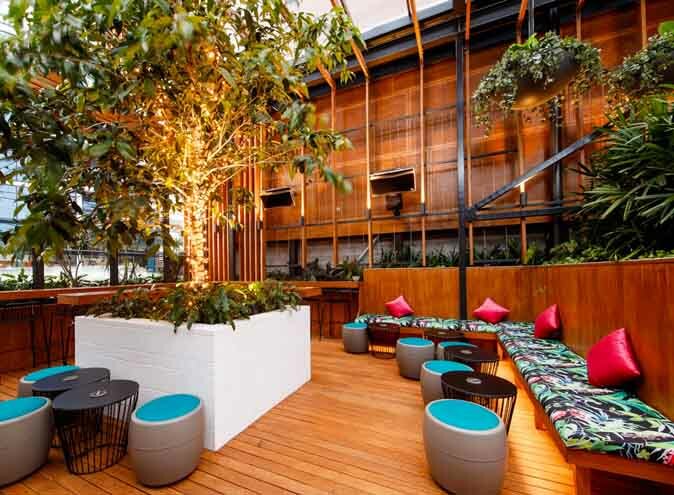 The words ‘ski-bar’ and ‘Brisbane’ aren’t typically two that are strung together, but the newly opened Chalet Bar from the experienced hands of The Alliance Hotel brings a touch of the atypical to Brisbane’s bar scene. Borrowing from the cosy interiors of alpine bars, you can sink into the comfortable Chesterfield lounges in a surrounding of flickering candles and wooden skis hanging from the walls, and enjoy a pub meal and drink with friends. Tucked away in the upstairs gallery of Lefty’s Old Time Music Hall lies an ocean fantasy alive with the sights and sounds of the sea. 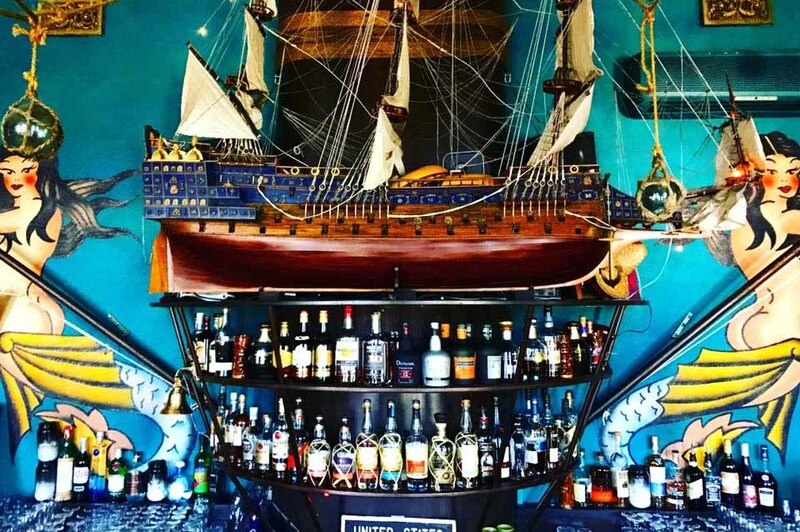 Deep blue walls and fish-netted ceilings, hanging sharks and nautical souvenirs fill the nooks and crannies of The Mermaid Lounge, and the bar is decked out with rum beer from around the world. 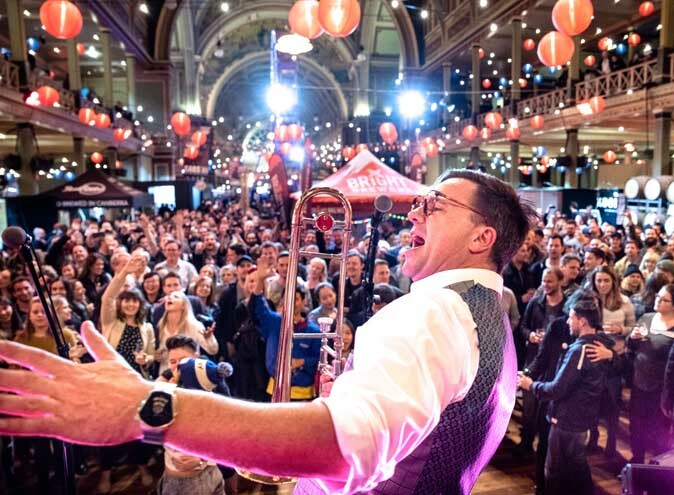 Accompanying a night of fun-filled food and drinks is the soundtrack covering anything from reggae to sea shanty punk, and will have you riding the wave all night long.